Welcome, PMI Mass Bay Chapter Members! PMI Mass Bay Chapter and International Institute for Learning, Inc. (IIL) a leading provider of training and course development in Project, Program and Portfolio Management, Leadership & Interpersonal Skills, Lean Six Sigma, Business Analysis, ITIL, Agile and Sustainability have partnered together to bring chapter members self-paced on-demand courses, webinars, videos and PDU Packs. 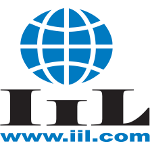 PMI Mass Bay Chapter is an exclusive member of IIL’s Preferred Partner Program. With its enrollment, Mass Bay members will benefit from a 15% discount on Virtual Classroom courses and On-Demand Learning products. IIL applauds the work of Mass Bay and other chapters and we are dedicated to your development. We have participated in over 45 Professional Development Days (PDDs) in the last two years alone and partnered with 32 chapters to bring them speakers such as IIL’s EVP Dr. Harold Kerzner. To register, Click on the register link to be directed to the IIL site to view offerings.